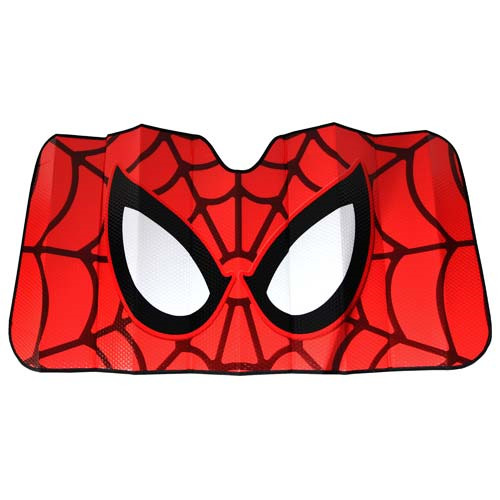 Measuring 58-inches wide x 27 1/2-inches tall, this Spider-Man Accordion Sunshade fits most cars, trucks, and vans. It protects, cools, and blocks out UV rays. Isn't that right, Spidey? Fits most cars, trucks, and SUV's. Ages 16 and up.